BRUSSELS, Belgium -- Twenty years after its independence, Ukraine seems to have finally stopped shifting between its past and future, firmly choosing the European path. The Association Agreement with the European Union has the potential to integrate the country in the EU. However, until it is signed and ratified, Ukraine’s European and democratic future remains uncertain. At the recent EU-Ukraine summit held in Kiev, EU leaders warned Ukrainian president Viktor Yanukovych that the fate of the new agreement depends on the improvement of the democracy situation in Ukraine. The imprisonment of opposition leader and former prime minister, Yulia Tymoshenko, and the restricted participation of the opposition in the 2012 parliamentary elections are the EU’s biggest concerns. In this sense, prospects for any improvement in Ukraine remain distant. So far, nothing indicates that the government will release Tymoshenko. In fact, the trial on the new accusations against her has already started and she could get yet another prison sentence. Next year’s parliamentary elections bring no high hopes either. The changes recently introduced to the electoral system – the return to a pre-2004 mixed electoral system and the ban of party alliances combined with an increase of the threshold to 5% for parties to enter parliament – are seen to favour the big parties and, in particular, Yanukovych’s Party of Regions. Whilst his “army” of regional and county governors and all kinds of state officials work to ensure an overwhelming majority of the ruling party, Yanukovych’s popularity has dropped from 30% to 11% in the past year. According to recent polls, his party could achieve less than one fourth of the votes in the next elections. 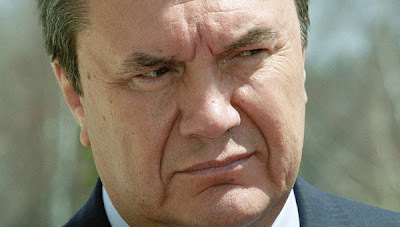 The closer the elections, the firmer Yanukovych will try to hold on to power. The irregularities and the fraudulent techniques employed during the last local elections in 2010 may be repeated at a larger scale. The elections will serve as the ultimate democracy test for Yanukovych’s Ukraine and will have a significant impact on the future of the Association Agreement. The EU faces a difficult dilemma. It could suspend the signature of the agreement in an attempt to force the government to conduct free and fair elections. If democracy ultimately fails in Ukraine, the agreement would remain on paper. Without the agreement, the EU’s strategy towards Ukraine will run out of steam. In its relations with Ukraine, as well as with other neighbours, the Union has focused too much on top-down Europeanisation, predominantly promoting reform through aid and dialogue with government structures. However, the approach that functioned so well in Poland or the Baltic countries has proved ineffective in Ukraine and in other Eastern Partnership countries. There is an urgent need for the EU to refocus its entire strategy in the Eastern neighbourhood towards promoting change from inside at different levels: civil society, business and local governments. The EU has already made some important steps in this direction through the establishment of platforms for civil society, business and local authorities under the Eastern Partnership framework and increased funding for NGOs. A civil society summit, held right after the official Ukraine-EU summit, and with the participation of the presidents of the European Council and the Commission, Herman van Rompuy and Jose Manuel Barroso, is a novelty worth praising and proliferating. A high-level business summit would also be of great value so as to include the main beneficiaries of the free trade deal between the EU and Ukraine. But much more has to be done to support democratic change in Ukraine. Instead of hoping for the government’s good will and spending money on reforms that the administration is neither willing nor able to carry out, the EU should increasingly invest into establishing links with the country’s society. Europe should provide new opportunities for youth and student exchanges, promote cultural and academic visits, and empower Ukraine’s civil society to be able to hold their government into account. The EU should move forward with visa free travel for Ukrainian citizens and free trade for Ukrainian and European businesses. Some would interpret this as a victory for Yanukovych before a weak EU that opens up to Ukraine despite the authoritarian backlash. However, in the long run, it will be Yanukovych who will lose and Ukrainian and European nations who will benefit from a closer relationship. The EU should not withdraw its support but strengthen its engagement with Ukraine and Ukrainians. Yes...engage the people, not the government. As you change the people's mind, you'll change who they will accept for leadership. We shouldn't forget that this "democratic" country is only 20 years old. Considering that this land has spent most of its history under siege by one authoritarian government or another, they are just like any 20-year-old leaving the nest full of hopes and conflicts. The visa free travel and cross-border business exchange would certainly speed up the learning process and help the Ukrainian people adopt the standards that the rest of Europe feels are important. Authoritarian-leaning leaders like Yanukovych will lose their power base.